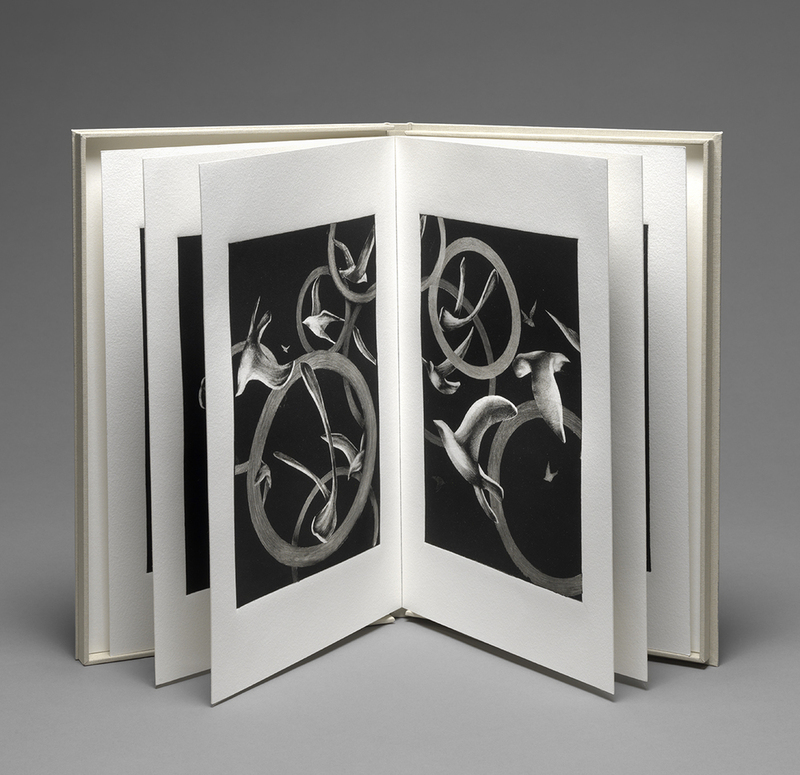 In Between is an accordion book comprised of ten monotypes hinged with Japanese paper. It marks the space between having departed but not yet arrived. The birds in this book soar, sprint, and dive, at times encircled and at other times, freed. We are not unlike the birds in this book. We cross thresholds, big and small, throughout our lifetimes, often not knowing what lies ahead. We hover in between here and there, now and then, today and tomorrow. The cover and colophon are letterpress printed by the artist. The book is housed in a clamshell box made by Linda Lembke of Green River Bindery. One-of-a-kind. 13" x 54" open. 13" x 8" closed.